Style, sophistication, performance and innovation are all words that describe the legendary BMW 5 Series. It has a powerful engine and base technology that rival its competitors. The 5 Series is the car that Los Angeles drivers are looking for to make a statement by driving more than a vehicle, but a work of art. With seven models of 5 Series vehicles, there are choices for any car buyer and for any budget. The 530i, 530e, and 530e xDrive all have a 2.0-liter TwinPower turbo four-cylinder engine. The 540i and 540i xDrive each have a 3.0-liter six-cylinder engine, and the M550i xDrive has a huge 4.4-liter V8 engine that generates 456 horsepower and can go 0-60 in 3.9 seconds. The 5 Series comes with all the comfort and luxury you expect from a BMW. Your passengers will love the available rear-seat entertainment Professional system, rear heated seats, and premium sound system. 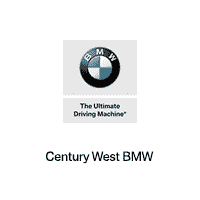 Our staff at Century West BMW is excited to show you the style and performance of the 5 series. Stop by today and find the right one for you.